A Chrome OS-based computer in an all-in-one desktop form factor: Does it make sense? There's no doubt that Google's Chrome OS is exploding in K-12 education. Chromebooks are expected to double this year compared with last year, with schools in the United States making up the bulk of the demand. As of the latest data, Chromebooks made up 30 percent of all device purchases in K-12. But there's something that's confused me for a while about some K-12 mobile deployments: Why do schools invest in mobile technologies like Chromebooks (not to mention traditional laptops) and then tether the devices to a desk? With notebooks, generally you pay more to get less — a wimpier processor, smaller (and dimmer and less colorful) display, frustrating keyboard, bare-bones graphics capabilities, fragile components — all for a single tradeoff: mobility. So if you don't need mobility, why buy mobile when you can get much more computer for the buck by going desktop or all-in-one? In the case of Chromebooks, there hasn't been a whole lot of wiggle room. After all, Chromebooks are notebooks. But there are, in fact, Chrome OS-based devices out there that come in different form factors. They aren't likely to ever to replace their notebook cousins, but they do make sense in situations where the device will remain stationary (e.g. in a library or media lab) and where a larger screen and full-size keyboard would just help to make studying a little bit easier on the body. That's where LG's Chromebase comes in. Chromebase is an all-in-one device that offers all of the features of a Chromebook (minus mobility) but with a larger screen; a wired, full-size keyboard; and a wired mouse. 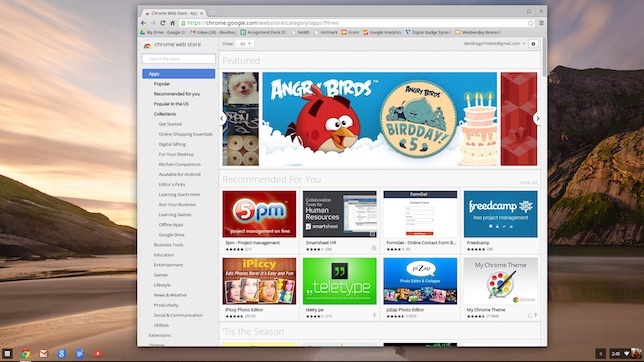 The device is easy to set up and as easy to use as any other Chrome OS-based device (which is to say extremely easy). For setup, there's a little bit of hardware assembly required. (The stand shipped in three pieces, which are held together and bolted to the display with six screws.) Once it's assembled, software setup can begin. That's just a matter of clicking through a few screens, entering your Google account information and logging into the network. I'd say setup is significantly faster and easier than the setup for a Mac or a Windows-based PC. I'm not going to go into too much about Chrome OS itself. For those who've never used it (I'm assuming a small minority of you), it's a simple and zippy OS. It has a desktop interface and ships with a bunch of apps (mail, docs, Web browser, YouTube, Google Search, etc. ), whose icons are displayed at the bottom of the screen or within a sub-menu a la Android. Plenty of other apps are available as well, from basic photo editors to games to educational apps for students to tools for teachers and administrators. So, the bottom line: An all-in-one Chrome device isn't going to take over the market by any means. 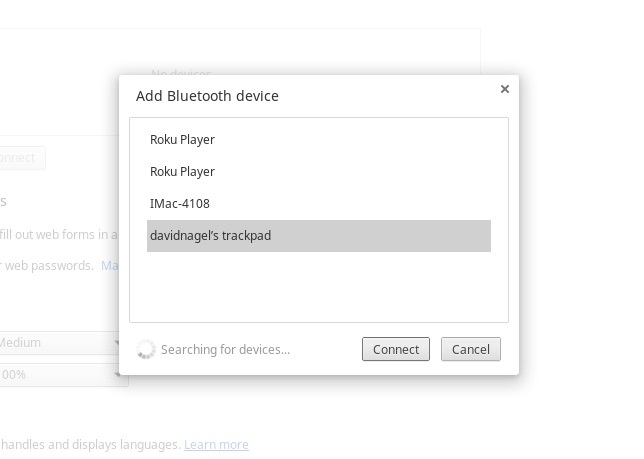 But it makes sense as a companion to a larger Chrome OS deployment for areas where the devices will be permanently situated and for people who simply appreciate a larger screen and full-size keyboard. 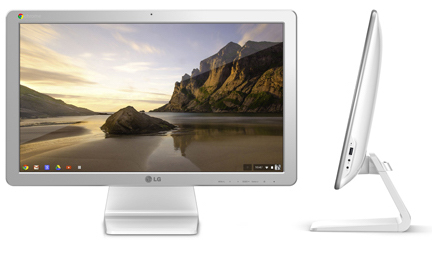 LG's Chromebase retails for $349 and is available now. Further details can be found at lg.com.